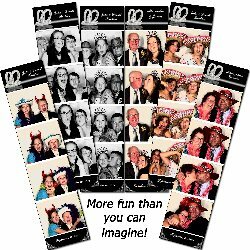 Add the excitement of instant photo strips just like in the malls to your event. The photos your guests receive will make a wonderful keepsake for any event! Photo strips have customizable headers and footers for a title, company name or the guests of honor names to showcase your special event. and No Extra Charge for us bringing Props. 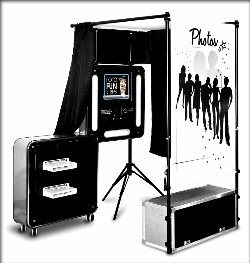 We also want you to tell us what we can bring to personalize your Photo Booth images for your event... baseball, football, special color props. You let us know and we will make it happen! !